1. What are the causes and effects of vibrations? 2. Define the terms Time period, Cycle and Frequency in Vibrations? 3. Define, in short, free vibrations, damped vibrations and forced vibrations? 4. 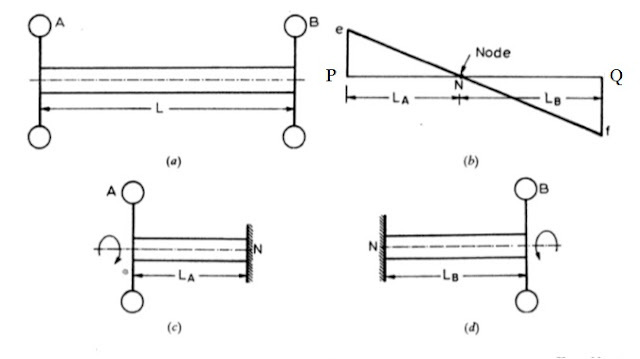 Discuss briefly with neat sketches the Longitudinal, Transverse and Torsional free vibrations. 5. 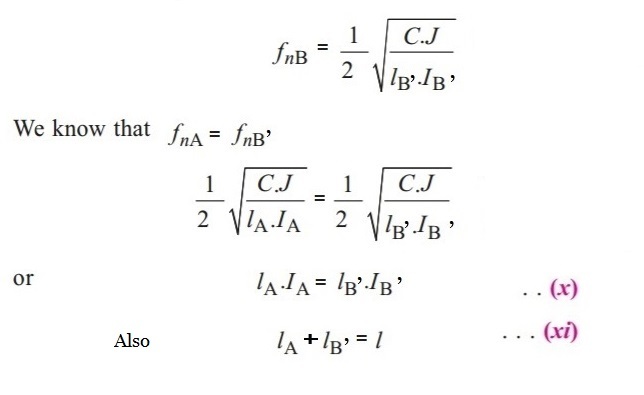 Derive an expression for the natural frequency of free transverse and longitudinal vibrations by equilibrium method? 6. 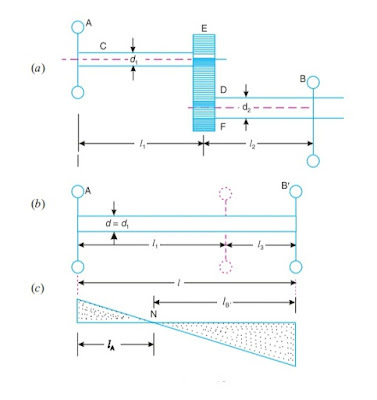 Discuss the effect of inertia of the shaft in longitudinal and transverse vibrations. 7. 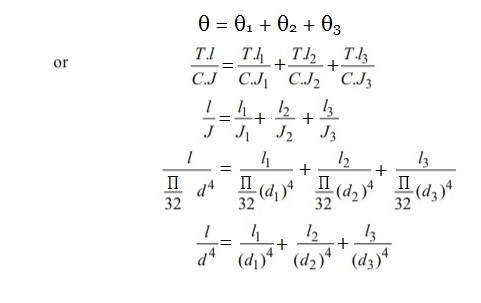 Deduce an expression for the natural frequency of free transverse vibrations for a simply supported shaft carrying uniformly distributed mass of 'm' kg per unit length. 8. 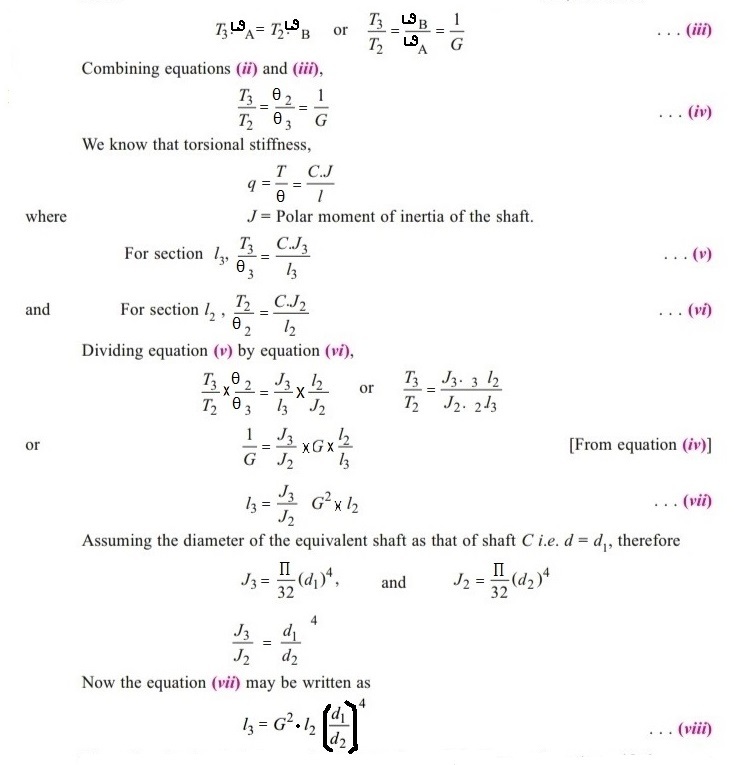 Deduce an expression for the natural frequency of free transverse vibrations for a beam fixed at both ends and carrying a uniformly distributed mass of 'm' kg per unit length. 9. Establish an expression for the natural frequency of free transverse vibrations for a simply supported beam carrying a number of point loads, by (a) Energy method; and (b) Dunkerley's method. 10. Explain the term 'whirling speed' or 'critical speed' of a shaft. Prove that the whirling speed for a rotating shaft is the same as the frequency of natural transverse vibration. 11. Derive the differential equation characterizing the motion of an oscillation system subject to viscous damping and no periodic external force. Assuming the solution to the equation, find the frequency of oscillation of the system. 14. Establish an expression for the amplitude of forced vibrations. 15. Explain the term 'dynamic magnifier'. 16. What do you understated by transmissibility? 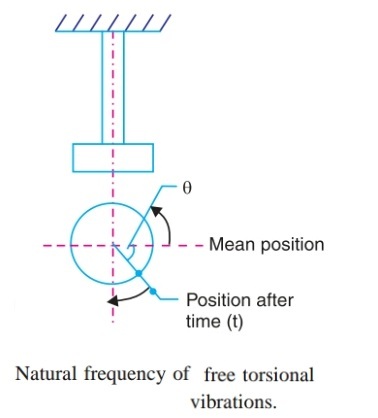 Natural frequency of free Torsional Vibrations. 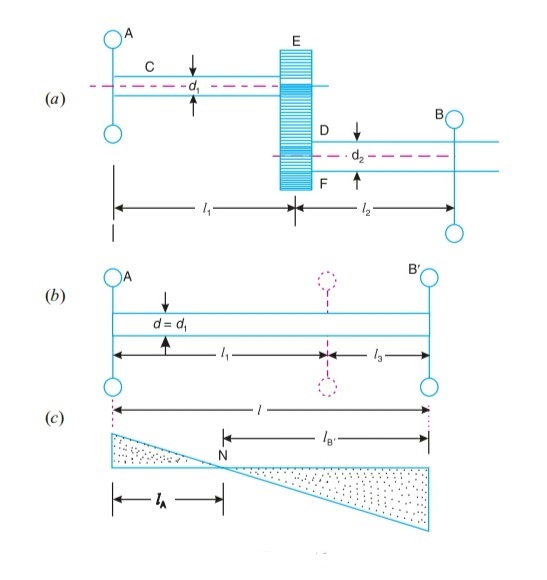 Effect of Inertia of the constraint on Torsional vibrations. 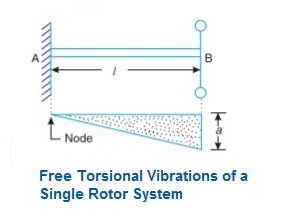 Free Torsional vibrations of a Single Rotor System. 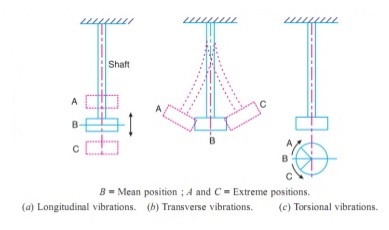 Free Torsional Vibrations of a Two Rotor System. Free Torsional Vibrations of a Three Rotor System. Free Torsional Vibrations of a Geared System. 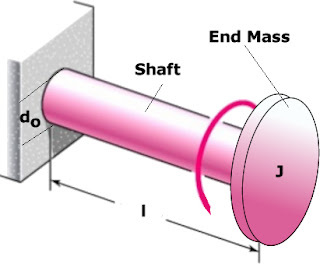 The amplitude of vibration is maximum at free end where single rotor is attached where as the amplitude of vibrations is zero at fixed end of the shaft. This consideration will show that the amplitude of vibration is zero at A and maximum at B, as shown in Fig. 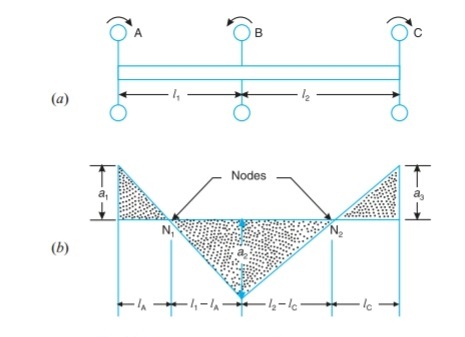 It may be noted that the point or the section of the shaft whose amplitude of torsional vibration is zero is known as 'Node'. 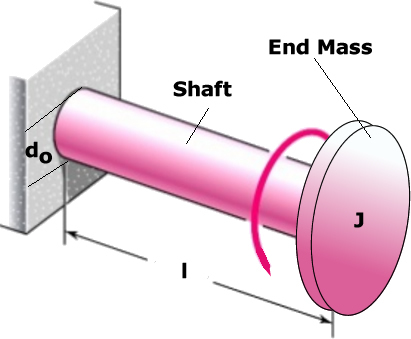 In other words, at the node, the shaft remains unaffected by the vibration.